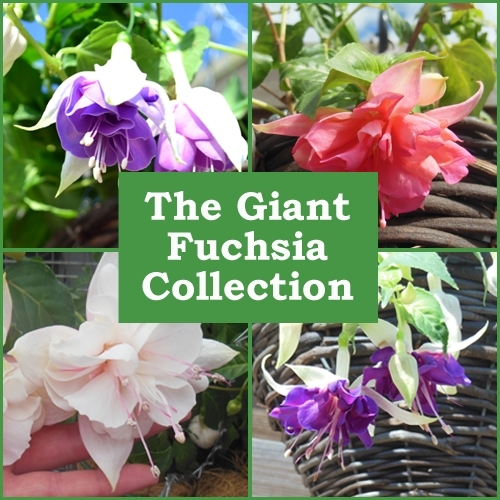 This is a collection of 36 fuchsia plug plants. It will contain at least 30 different varieties, including 18 upright varieties and 18 trailing varieties. 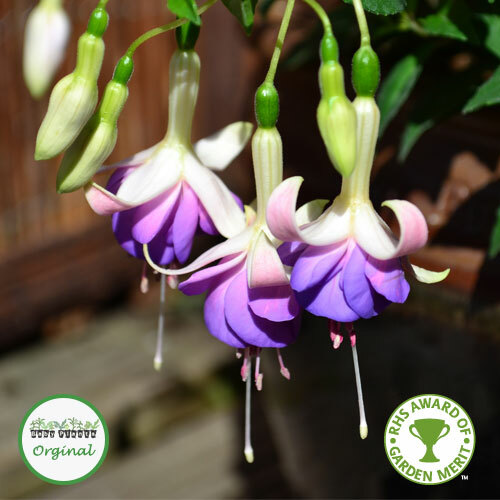 Trailing varieties are ideal for hanging baskets, whilst upright varieties are perfect for planting in patio containers or garden beds and borders. 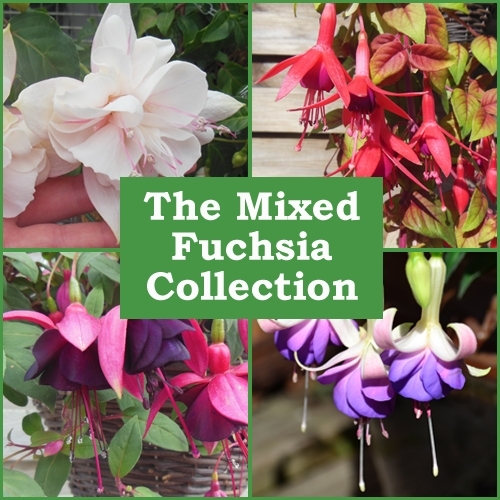 This is a great way to start your Fuchsia collection without having to choose individual plants. 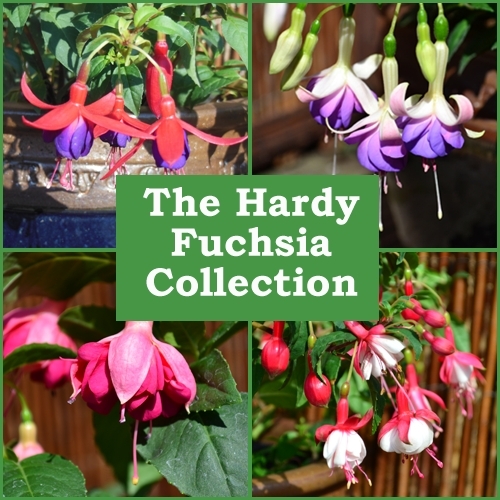 Each plant is individually labelled, so if you have a favourite, it will be easy to re-order next year!